The Division‘s Game Director Ryan Barnard has departed Ubisoft to join Square Enix as the new boss of beleaguered developer Io-Interactive. Tom Clancy’s The Division was a joy to review. Where I went in expecting a ham-fisted franchise cash-in, I was treated to one of the most engaging online experiences I’ve ever had. Hitman was a different story. My unfettered enthusiasm for the latest exploits of Agent 47 was rewarded with the wormy husk of a game that failed to capture any of the series’ strengths. That’s what excites me about the news that The Division‘s director, Ryan Barnard, will be migrating to Hitman developer Io-Interactive. Someone who helped to create an experience that defies all expectations is precisely the sort of man that Io needs right now. One of the best parts about The Division is its focus on making every activity in which you participate part of a focused experience, using even the most mundane tasks to both build the world and immerse you in your role within it. That’s just what Io’s Hitman needs right now — an injection of life, a refocus on the experience of being the deadliest predator in a crowd of them, in the darkest and most dangerous corners of humanity. Barnard has been everywhere from Sony Online Entertainment, to EA Mythic, and Crytek. After finishing up with The Division developer Massive Entertainment in February, he quietly transitioned into a role at Io that’s as new to the company as Ryan himself. He’ll be overseeing all three of Io’s core facets: Gameplay, Online, and World. 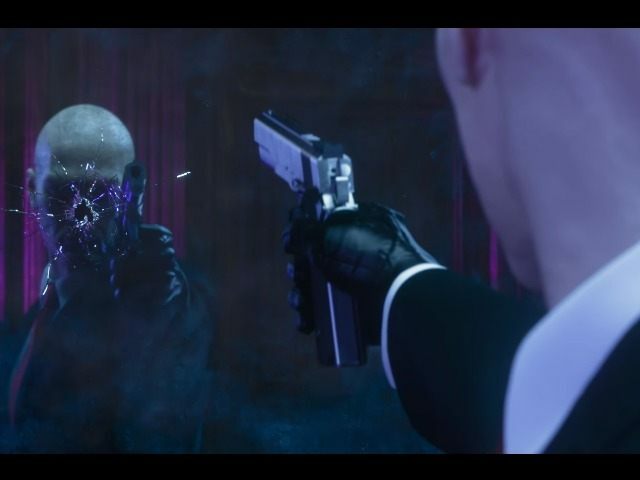 And while many will no doubt be disappointed in his departure from Massive Entertainment’s wildly successful shooter, it’s a spark of optimism for everyone still hoping to see Io and their most famous property evolve into the coldly compelling experience the latest Hitman hints at but never quite delivers. Square Enix, who owns Io, believes that “Ryan’s contributions to game design over the years show he’s the ideal person to spearhead the coming efforts” and are understandably “very happy to add his talent to the pool of great people” at the studio.